So, it’s February. How are those New Year resolutions going for you? Whether you’re still on track, or you’ve already fallen off the wagon, making positive changes for your health is something you can do whatever the time of year. 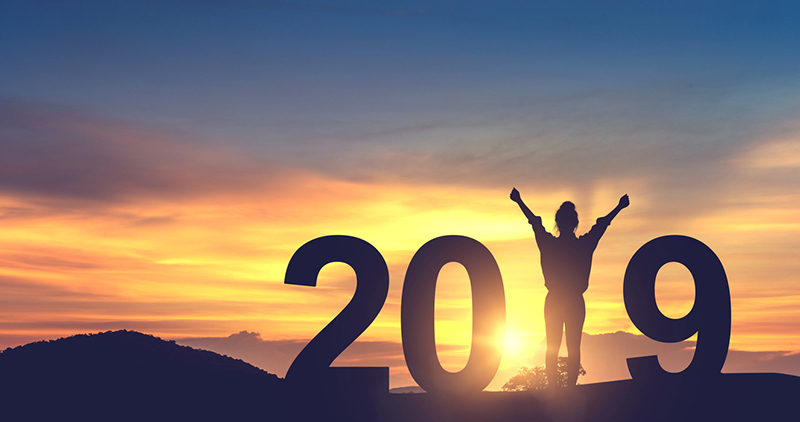 We asked MQ Health General Practitioner Luke Morphett to tell us the five basic promises we should be making for better health in 2019 and beyond. I know it’s obvious – doctors and health authorities have been banging on about it for years. But the fact is many people still smoke, and there are still people who start smoking every year. The main reason most people still smoke is because it’s really, really, really hard to quit. But there is a lot of help available. For practical tips and assistance visit quitnow.gov.au, and your GP can help with advice and, in some cases, medication. Another unsurprising piece of advice, I’m sure. But you may not be aware of the most up-to-date guidelines. To reduce your risk of harm from alcohol-related disease or injury over a lifetime, drink no more than two standard drinks per day. An average restaurant serving of wine or a 375ml bottle of full-strength beer both have approximately 1.5 standard drinks. As always, see your doctor if you need some help. Eat a balanced diet including different types of vegetables and fruits, grain (cereal) foods including mostly wholegrain and/or high cereal fibre sources (breads, pasta, etc. ), lean meats and other protein sources, and mostly reduced fat dairy. Eat mostly home prepared meals, as these are generally healthier than pre-prepared meals, takeaway or fast-food/restaurant meals. This combined with sensible choices at home will help you to limit your intake of saturated fat, added sugar and added salt. Eat sensible portions. One way to do this is to eat more slowly, and stop eating once you are satisfied (as opposed to ‘full’). This tip will improve your diet, and help you lose weight if that is your goal. This reduces your risk of diabetes, heart disease and even some cancers, and also improves your mental health. The aim is to participate in 2.5-5 hours per week of moderate intensity physical activity, and be active on most days. This can be at least 30 minutes of exercise five days per week, but research has found it can also be broken down into smaller chunks and still provide the same health benefits. Aim for moderate intensity, which means you should be breathing a bit harder and lightly sweating, but you can still carry out a conversation. But if you haven’t exercised for a while, gradually build up both the duration and intensity of exercise. Find yourself a regular GP who you can talk to and trust, and see them at least once per year (unless they advise you otherwise). It is important to keep track of all of the above areas, as well as things like blood pressure and weight. The aim is to improve your health in the short term, but also avoid health conditions where possible in the long. If you want to improve your health in 2019, make an appointment at the MQ Health Preventive Health Clinic. A specialist GP will spend around 45 minutes assessing your health and developing a management plan with you. Phone 9812 2908 to make an appointment or visit the website for more information. Perhaps this was poorly phrased, but it seems to be suggesting that those who do not use alcohol should start using it in moderation. There is considerable evidence to the contrary. The following quotes are short summaries, but the web pages mentioned include links to relevant studies. Thank you for pointing this out. I am absolutely not recommending that people start drinking alcohol for health reasons if they do not already, but we could have phrased the “promise” differently to make that clear. I have already been in contact with the editors, and they have suggested changing the wording. We’ve changed the header to “If I drink alcohol, I’ll do so in moderation”. We hope that clears up any confusion.